This pleasant apple and lemon flavoured chlorella extract contains Chlorella Growth Factor (C.G.F.). C.G.F. is a complex of nucleic acid and amino acid and this valuable component and stabilised drink can be easily absorbed by the body. Sun Chlorella `A` tablets contain C.G.F., however, in order to make this valuable component even more readily available, we have concentrated it to make an easily absorbed drink. This pleasant tasting liquid is an ideal complement to daily consumption of Sun Chlorella `A` when your system needs a little more help. 500ml - 15ml per day = 30 days supply. Concentrated Chlorella Extract (53%), Pure Water, Fructose, Acidity regulator (dl-Malic Acid), Lemon Essence, Capsicum Extract. 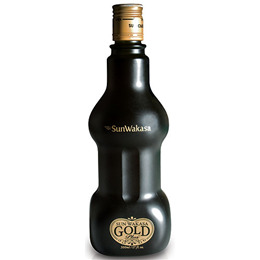 Adults: Consume 15ml as a daily serving. Drink as supplied or dilute with one cup of water or juice. Shake well before use and refrigerate after opening. Caution: Chlorella contains Vitamin K1. Consult your GP if you are using the blood-thinning medication warfarin prior to taking Sun Chlorella products. 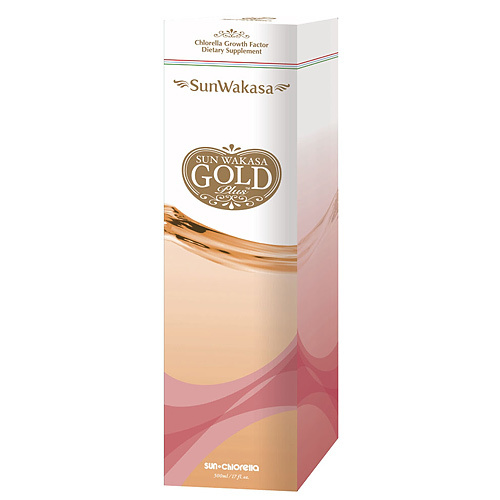 Below are reviews of Sun Chlorella Sun Wakasa Gold Plus - 500ml by bodykind customers. If you have tried this product we'd love to hear what you think so please leave a review. I have been using Wasaka Gold Plus for my Fibromyalgia ....I find it really helps, especially with the chronic fatigue side of the condition..